Social networking is playing a major role in growth of e-commerce. Advertisers now swear by remarketing, boosting the revenue of the e-commerce industry. Mobile payment companies with their luring offers are making buyers irresistible. Just yesterday we also spoke of how e-commerce is seeping into rural India, with so many sites and apps coming up in multiple languages and consumption of Hindi on the Internet growing by 90%, mobile has changed the face of Internet. Not just in India, but across the globe. E-tailers such as Flipkart, Amazon and Jabong now get 50 per cent of their revenues from consumers shopping on their mobile phones. No wonder they’re keen on jumping unto app only models. A recent study has stated that the global e-commerce industry generates over $1.2 million revenue in every 30 seconds with Facebook, Pinterest and Twitter contributing $5,483, $4,504 and $4,308 respectively. The study was jointly conducted by The Associated Chambers of Commerce and Industry of India (Assocham) and Deloitte. The study stated, “The maturity of social media and its reach across masses and classes makes it a suitable platform for online sales. Social media pages provide information regarding new products in the market, user reviews and ratings of the product, recommendations, and information technology (IT) products. The popular EMI option which can be availed by credit card users with online payment are luring customer to pay online upfront for high-value items. The payment gateways use various security measures such One Time Password (OTP), CVV in case of debit/credit card, etc. Amongst the several payment gateways in India, some well-known payment gateways that are widely used include CC Avenue & Tech Process. According to analysts, product reviews and ratings, as well as product recommendations, were the most popular social commerce features integrated into leading e-commerce sites as of August 2013. The social media giants play a major role in this new picture. They help the e-tailers to largely build up a platform to advertise and brand them. When you and I surf Facebook for an instance, we are bombarded with ads related to our search history. Somewhere down the line, this influences buyer behavior. Getting reward points for writing reviews or even rating various products and gaining out of it, is a trend that has widely caught up over the Internet. Even before buying a single product, one can scroll through the reviews and know if it’s really meant for you! The ease and convenience that online shopping has brought to one’s platter is uplifting the growth of the global e-commerce market. Payment gateways help the e-tailers to receive money instantly rather than waiting for the CoD (cash on delivery) payments, thus reducing chances of theft and fraud. “E-tailers have even started to motivate customers with reward points to provide feedback on the product on social networks,” said D.S. Rawat, ASSOCHAM secretary general. The rise of digital activities like social networking is the driving key for formulating e-commerce strategies, thus affecting the business model and driving growth for e-commerce players. "Global E-commerce Industry Makes $1.2M Revenue Every 30 Seconds: Study", 5 out of 5 based on 1 ratings. Meet OnHub, Google’s Router That Shows New Way To Wi-Fi! 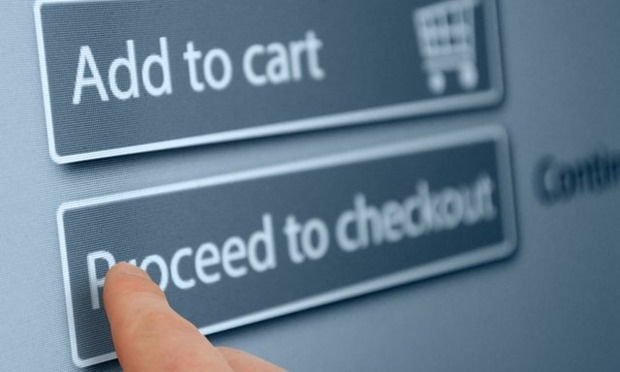 Offline Retailers Want “Entry Tax” Levied For Online Goods Purchases!